Like most Tri-City Americans alumni, Alex Aldred and Eric Johansson look back on their time with the team fondly. The two former Americans recently had the opportunity to return to Tri-Cities and assist the Americans coaching staff during training camp. 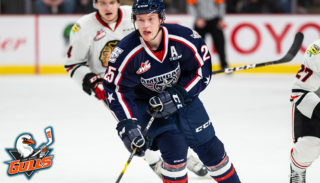 Aldred spent two years (2005 – 2007) with the Americans after beginning his WHL career with the Portland Winterhawks. During his overage season (2006 – 2007) he served as captain and led Tri-City to 47 wins – a franchise first. The following year he began playing for the University of New Brunswick where he won a CIS (Canadian Interuniversity Sport) national championship in 2009. Aldred now coaches minor hockey in his hometown of Edmonton, Alberta. As for Johansson, who also played center, hockey has taken him a long way from Tri-Cities in the years since he last skated for the Americans. After finishing his WHL career in 2002 Johansson was drafted by the New Jersey Devils. He spent three years with the Albany River Rats before moving to Europe in 2005. Johansson found success in the Swedish Hockey League where he won a national championship. Since then he has played across Europe in Austria, Italy, and Germany. This past year he spent time as an assistant coach in Germany after his playing season was cut short due to injury. 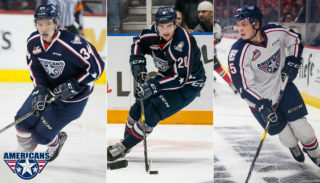 The organization’s evolution has impressed Aldred and Johansson. 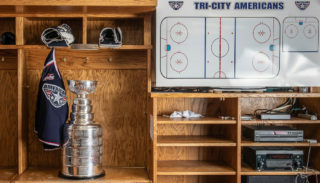 “As an organization I think Tri-City has come a long way over the past ten years,” Aldred said. He remembers having great resources when he played for the Americans, but has noticed the coaching, technology, and weight training have become even more elite since his time with the team. Aldred and Johansson attribute the team’s success to the current ownership and management. The two alumni see a bright future for the current Americans team after their time serving as assistant coaches. The alumni were surprised by the speed, shooting ability, and overall fitness of the players they watched at training camp. 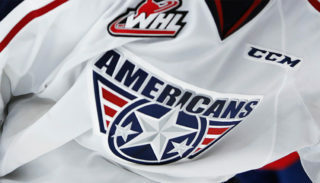 Overall, the WHL seems to be quicker and more competitive than when they were on the Americans roster. “There’s been a major shift from when we played. Just on conditioning alone,” Johansson said. “Guys are carrying protein shakes around. We definitely didn’t do that,” he laughed.